Made from carefully selected ingredients this imported rum hints of tranquil Caribbean sunsets and rhythmic tropical evenings. 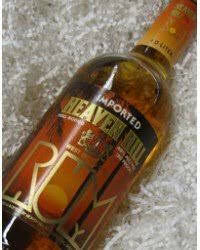 Heaven Hill Rum possesses the unique character and taste demanded by the connoisseur seeking a premium quality Rum. This subtle flavour and delicate aroma enhance the enjoyment of every rum drink.